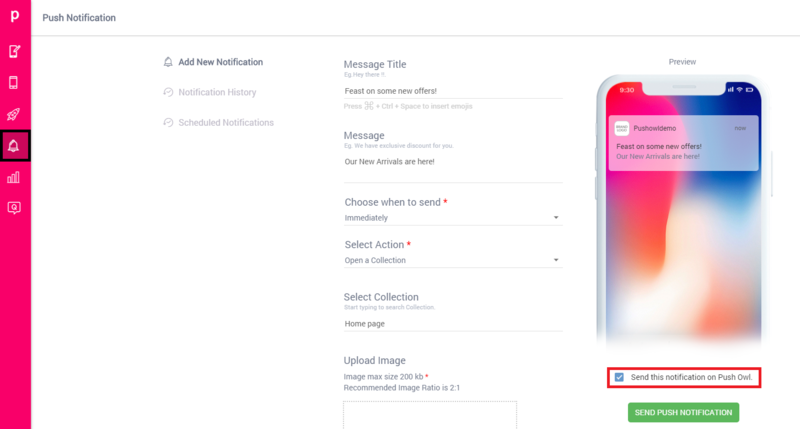 Send push notifications to your app users as well as your web push notification subscribers with this integration. Plobal Apps allows store owners to turn their online stores into mobile apps. With this app, you can better the way your customers experience your store and make it much more seamless and reach your customers directly. 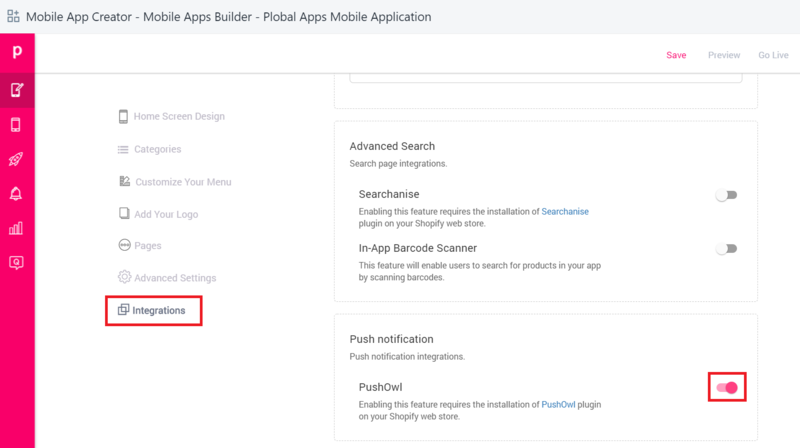 With this new integration between Plobal Apps and PushOwl, you can send your store's push notifications to your app subscribers as well as your web push notification subscribers. You can spend less time by using just one app to send your push notification to both subscriber lists. 1. 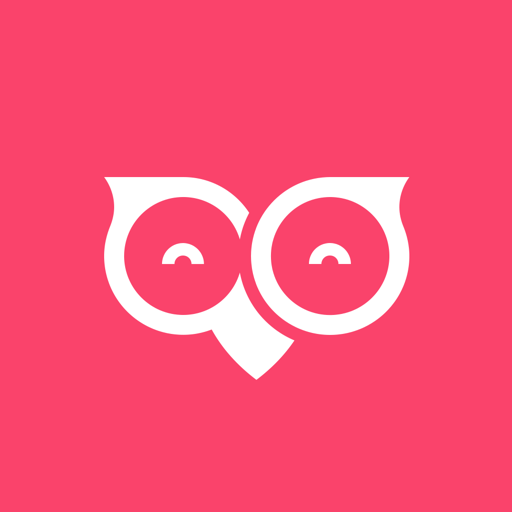 Install Plobal Apps and PushOwl from the Shopify App Store. 2. Click on 'Mobile App Creator- Mobile Apps Builder- Plobal Apps Mobile Application' from the left sidebar on your Shopify dashboard to open Plobal Apps dashboard. 3. Click on 'Customize from the Plobal Apps Dashboard. 4. Click on 'Integrations' under the sub-tabs. 5. Scroll to the bottom of the page to find PushOwl. 6. Click on the switch next to PushOwl to turn on the integration. The integration is now live! 1. 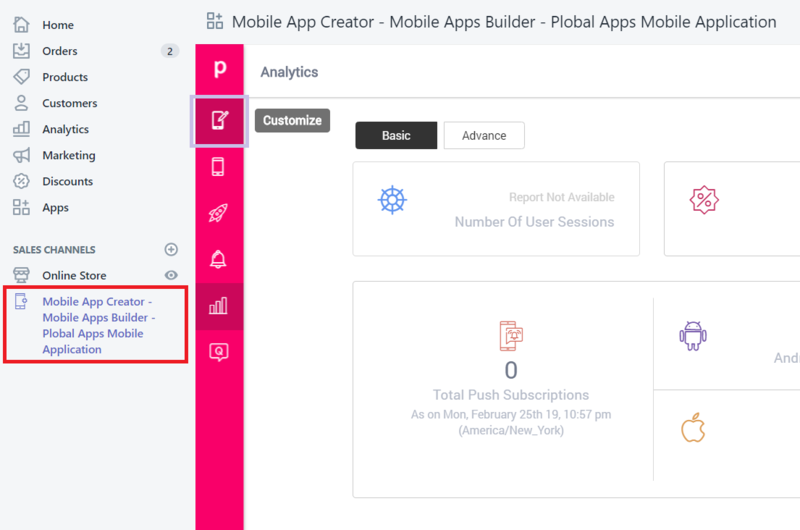 Click on 'Mobile App Creator- Mobile Apps Builder- Plobal Apps Mobile Application' from the left sidebar on your Shopify dashboard to open Plobal Apps dashboard. 2. Click on the bell icon within the sidebar on the Plobal Apps dashboard. 3. Fill in the fields for the push notification you want to send out. 4. Once you're done, check the box next to 'Send this notification on PushOwl'. 6. Once you've sent the notification, it appears on the PushOwl dashboard. Note: If you've scheduled a notification on Plobal Apps, you won't see the campaign on the PushOwl dashboard until it's live.